1993: Tom Franey purchased one of his father’s farm trucks and leased it on with Phil Jones Trucking. Tom hauled anything that could be transported in a dump trailer. That included a lot of asphalt road construction and lots of dry fertilizer for area farm chemical companies. 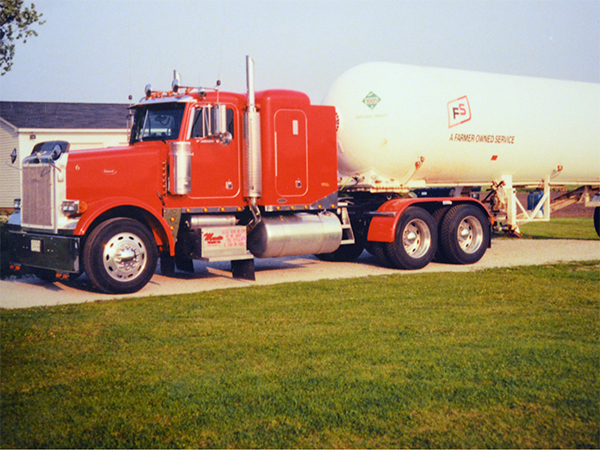 1994: After seeing an opportunity Tom leased on with a local fuel hauling company which began his fuel hauling career. 2002: In 2002 Tom obtained his operating authority and Tom Franey Trucking, Inc. was established. Tom and his wife Stephanie invested in one tractor and two fuel transport trailers. As soon as possible Tom secured a second tractor to use as a backup in case of a break down. 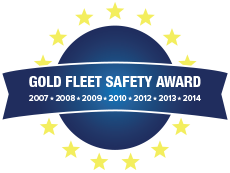 By September of 2002 the company secured enough work to warrant hiring another driver. 2007: Tom and his wife, Stephanie, purchased the lot that the company currently occupies. 2010: Construction began and by November 2010 Tom Franey Trucking moved into their new facilities. The company operates out of two office spaces, seven maintenance bays and one wash bay. Scroll through photos from Franey Trucking’s past.